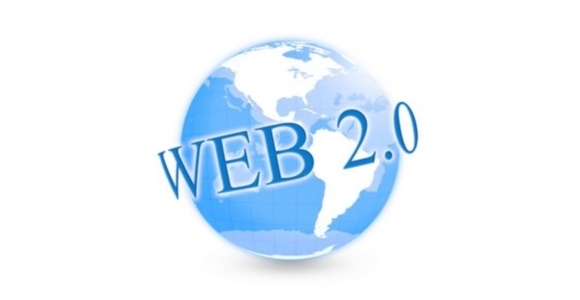 Possibly one of the most useless phrase that’s currently doing the rounds is ‘Web 2.0’.I call it useless as the term implies that there is a new version of the World Wide Web available, and that us fools left using the old Web 1.0 should probably catch on and make the switch; fortunately this isn’t the case. The term was coined by O’Reilly Media 2.0 back in 2003, and was popularised by the first Web 2.0 convention in 2004 and then a series of successive conferences.Eventually it become adopted by the wider community however when a customer of mine asked me earlier today to define exactly what Web 2.0 meant I was stuck; hence my sudden need to write this article. Right, so in English what exactly does this mean?I think the best way I can describe it is to say that Web 2.0 is a term used to describe a website that has increased the overall functionality of the Web; as such, the term can mean different things to different people.Broadly speaking a website that provides new and interactive technologies such as weblogs, social websites, podcasts, RSS feeds and online web services can fall under the Web 2.0 umbrella. Personally I think that the phrase is a nonsensical buzzword which has been coined for no real reason than the fact that it sounded catchy.Using the phrase in a meaningful way can be close to impossible since many of the core components of Web 2.0 have existed from the very earliest days of the web. –Users being able to contribute to the data on a site; Wikipedia is a good example of this. –An element of social networking such as MySpace. –Allow users to use applications entirely through a browser.A web operating system such as Goowy which I reviewed several months back is a good example of this. –A smart and user friendly interface; often based on a new technology such as Ajax. –An ability for the user to enhance the application or website as they use it. Our website design company Refresh Creations often gets people touting that their websites are categorised as Web 2.0, but when you delve deeper it becomes apparent that they have simply installed a trivial feature such as a blog to allow them to make this claim. Personally, I hate buzzwords and have little time for people that utilize them when pitching ideas or sales pitches to me.Therefore it is somewhat unsurprising that I simply don’t ‘get’ Web 2.0 – due to the lack of set standards to what it actually refers to you can end up making the phrase mean practically anything you want it to. Even after researching this article for best part of an hour I’m still a little bit unsure as to what the phrase actually means and I don’t think this is my failure to grasp the concept but rather the fact that it hasn’t been correctly, accurately or solidly defined.